The Porsche 959 is remembered as one of the greatest cars of the modern era, and certainly one of the jewels in the crown of Porsche, the eternal sports car king. What's considerably less well-known is that the car was a fantastic failure at literally every point of its life. Porsche put the 959 into production in 1987, and when it did it was probably the most technologically advanced car in the world. It had not one but two turbochargers. It made 450 horsepower from just a 2.85L engine. It did 0-60 mph in 3.6 seconds and topped out at 315km/h, still impressive figures today. It had computer-controlled variable all-wheel drive. It had driver-adjustable ride height and suspension settings along with a number of electronic systems advanced for the time. We're quite used to these kinds of systems today, but this was radical 30 years ago. Each one of these technologies would have been a big deal at the time. 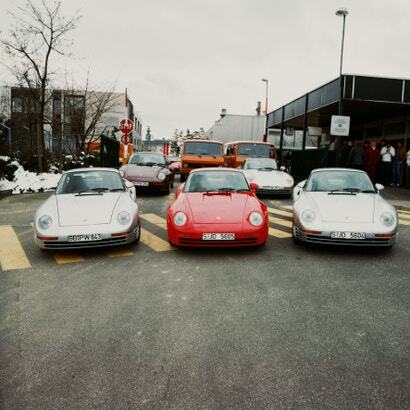 Porsche, then still a relatively small car company, bundled them all together at once. 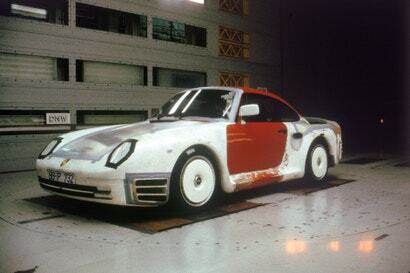 An early aerodynamic model for what became the 959. All photos from Porsche's Archives. It's regarded as such by car fans today, but the 959's development was much more tortured than today's memory of the car would have you believe. It took so long to engineer that it debuted two years late, missing its window for racing, almost instantly losing its spot in the supercar pecking order, and costing the company more money than it had the stomach to make back. 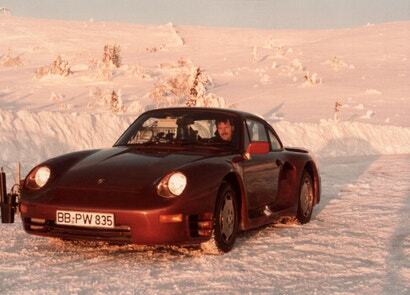 Porsche still has this C29 aero model from 1982, nicknamed the "Ottifanten". All photos from Porsche's Archives. Maybe Porsche didn't think it'd be particularly difficult. 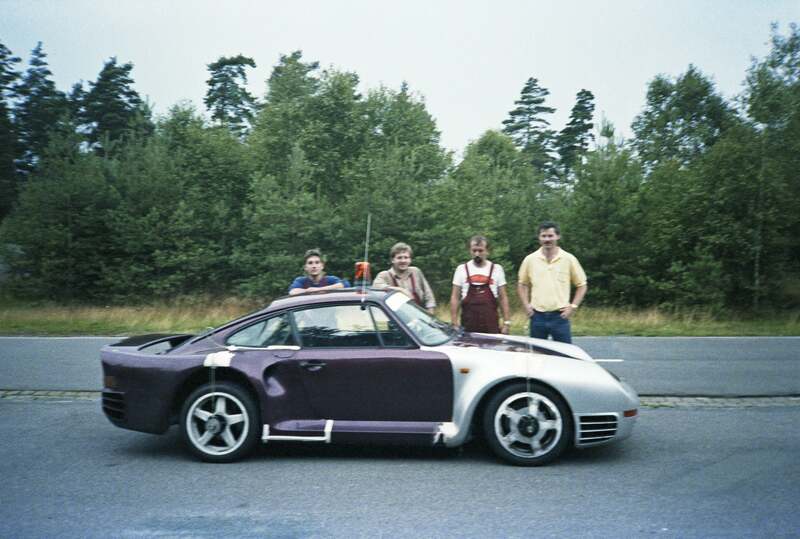 After all, when Porsche started the 959 project all the way back in 1983 it already had a chassis (the 959 is based on a regular 911 platform), it already had its bodywork planned (Porsche did all the aero for this on an internal 'C29' study car), it had most of its engine (the 959 ran something like a 911 block with Le Mans racing 962 heads) and it had experience with turbocharging. Porsche was one of the first carmakers to sell a modern turbocharged car to the public after years of racing turbo sports cars. So this 959 project was going to be easy, right? Of course not. Porsche was not interested in easy. Porsche was interested in brutally and scientifically rigourous at the cost of everything else. 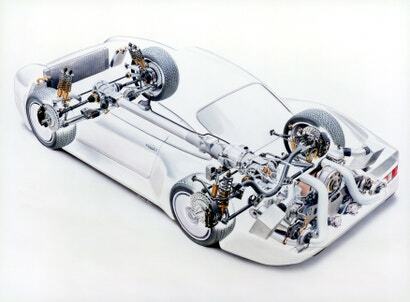 Porsche didn't merely want to make an all-wheel drive car; Porsche wanted to make an all-wheel drive car with uncorrupted steering, with impeccable handling and stability, easy in low speed driving and perfectly stable knocking on the door of 322km/h, faster than any production car had gone before, equally at home in Monaco as in Alaska as in Qatar. It's worth mentioning that the 959, though, was a significantly more adventurous project than the rest of what we saw in Group B. Audi had really gotten the category going with the Quattro, but it was backed by the serious engineering resources and funding of Volkswagen. Do not forget that Porsche wasn't yet married to VW back then — despite occasional overlap and collaborations between the two that yielded cars like the 914 and 924, Porsche was not yet a VW Group company. But if you look at either of those cars up close, they're really like kit cars. They're nowhere close to modern production car standards. Porsche wanted to make a car as ambitious as any race car in the world, but it would only do it with the civility of a luxury car. 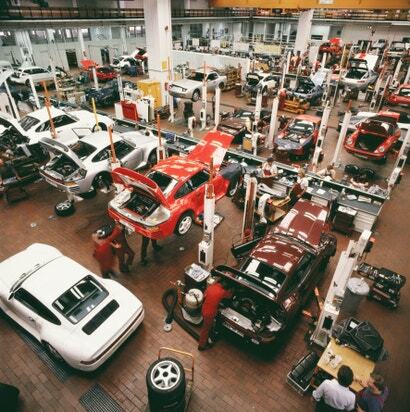 The company's exact words in its 1985 brochure were, "The House Porsche prepares 200 street-proven 959 future-cars. The 959 is an exclusive high performance car with extravagant technology. Countless elements are carried over directly from racing. With the 959, high-value materials are processed in the highest quality, as is, in Zuffenhausen, standard. 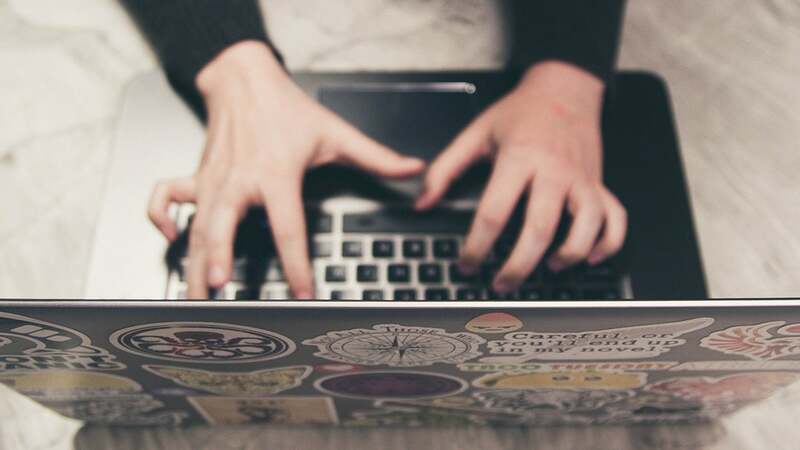 It is tested for everyday usability to the most strenuous standards." 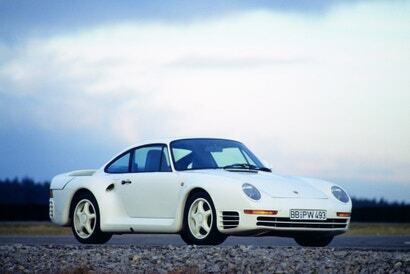 It continued: "The 959 opens up an as-yet unknown level of power and secure handling. It is tailored to the engaged and savvy expert, who wishes to have a say in the development of the sports car." 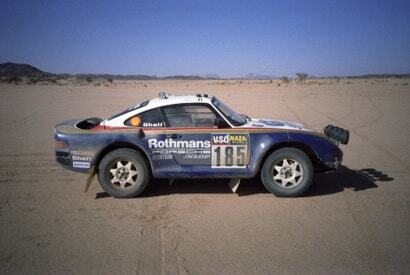 "And this is why Weissach could only contest rallies that permitted non-homologation vehicles. 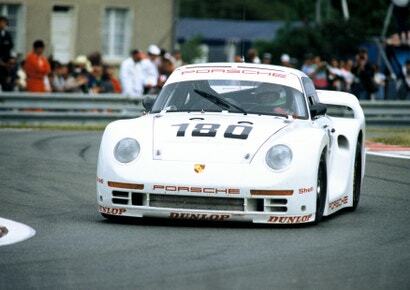 And this was also why the racing version of the 959, dubbed 961, tackled Le Mans in 1986 and 1987 [in a prototype class] and contested just one round of the IMSA championship on October 26, 1986, at Daytona Speedway in Florida," as noted in the excellent new book Porsche 959: Birth of a Legendby journalist and author Jürgen Lewandowski, who was privy to the 959's development at the time, running the auto and transportation section of the prominent German newspaper, the Süddeutsche Zeitung. As it so happens, the publisher of said book sent us a copy to review, which has a sweet little fact book, a giant coffee table book of unseen development photos (more than I could even get in this article) and a great short history of the 959's development in both German and English. It'd a good get if you're a 959 super nerd. It's not the only source for this story, but it is the impetus for me putting this whole history together. 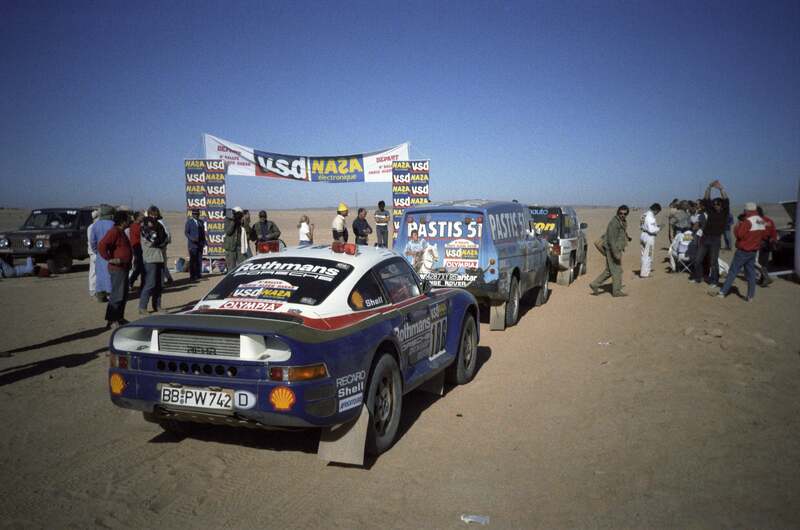 In any case, when I was growing up it always seemed weird to me that the 959's big racing career was in the Paris-Dakar long-distance rally. It's not what you expect for a big-money Porsche. 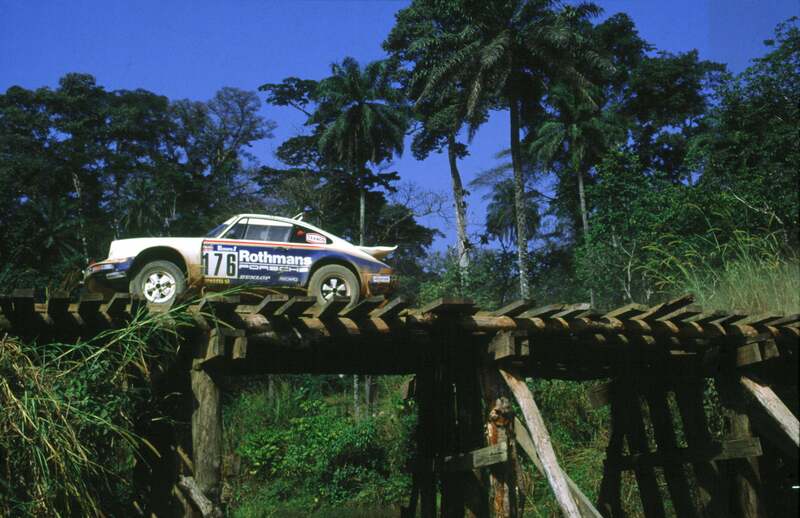 For context, in 1980, the Paris-Dakar was won by a VW Iltis, an ugly German military Jeep. This was the kind of race that was contested by home-brew off-roaders, not a high-performance luxury supercar. 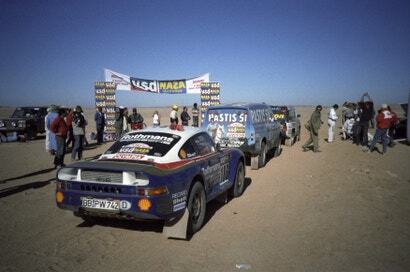 I hadn't realised that the Paris-Dakar didn't have homologation rules and the World Rally Championship did. 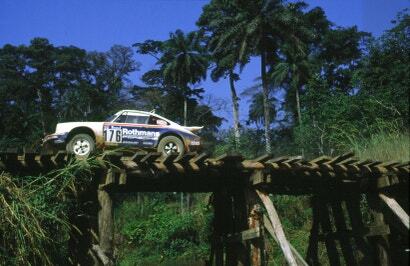 Porsche simply didn't have the budget or the production cars to enter the WRC, so that's why it went to the Dakar. And even then the program wasn't a smooth operation. The first year Porsche ran this kind of car in the Dakar in 1984 (winning, surprisingly), it was essentially just a regular 911 with all-wheel drive dubbed the 953. In 1985, the car got all of the 959's chassis work and electronics, but all cars entered failed to finish. A good look at the 959"s "competition" in I believe the 1986 Dakar. Now, three years of development for a small company to get a race car program going isn't particularly abnormal. It was the road car development that stung the most with the 959, beyond keeping it out of serious Group B racing in that legend-making heyday. 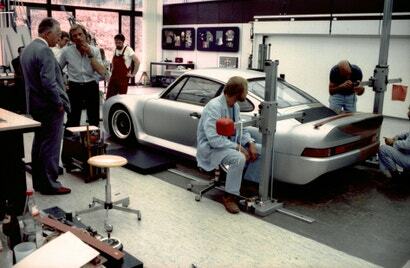 When the show car debuted in '83, people were already inundating Porsche with orders and the company announced the full production car in spring of '84, with internal documents showing that Porsche planned to meet its homologation requirement of 200 road cars by July 1, 1985, as Birth of a Legend notes. This included regular road cars, stripped-out race-ready "Sport" models, and leather-lined "Komfort" models. 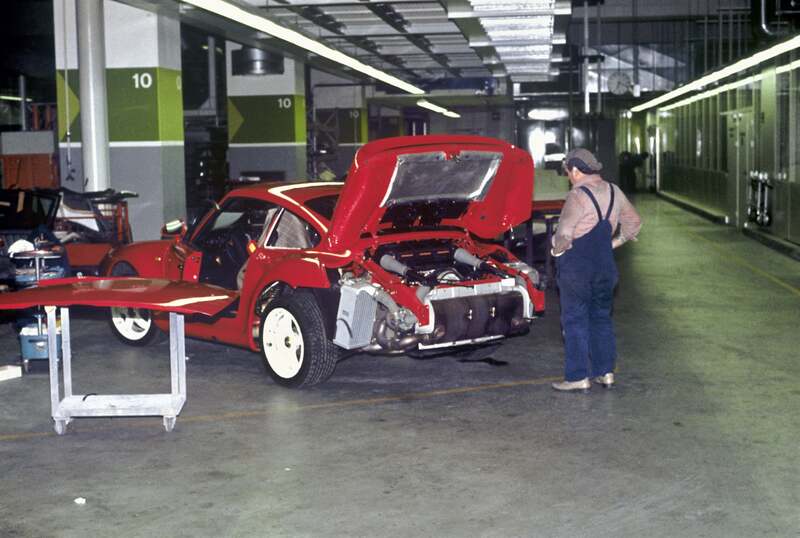 But production didn't even start until 1987, and even after cars finally started rolling off of the line outside of Porsche's normal facilities, Porsche was still developing the car. Any time a customer would bring an early 959 in for servicing, Porsche would add updates to the customer's vehicle, as detailed in Birth of a Legend. Digital Controls "Like a Cheap Nintendo Knockoff"
Ultimately, it was Porsche's ambition that screwed the 959, but the biggest practical problems were packaging and the digital controls of the car, which were both destructive and hilariously time-intensive, respectively. Digital controls were new for the automotive world in the 1980s, and Porsche threw itself in head first with the 959, with electronic controls for the whole car, particularly the variable all-wheel drive — a step up from the rest of the market. The measuring and setting of parameters were not at that time made with simple programming on a laptop. The programs were saved on an EPROM, an erasable programmable read-only memory, which was cast in synthetic resin for production use. Any changes made to the settings were only possible by completely changing the control unit. Thus, each test drive at that time was considerably more critical than today's tests. "The work involved in the measurement electronics was enormous." "The equipment needed for this took up the passenger compartment and was very heavy. Plus there was a measuring device for the steering wheel with which we could record the steering angle, the rotational velocity and the steering torque. 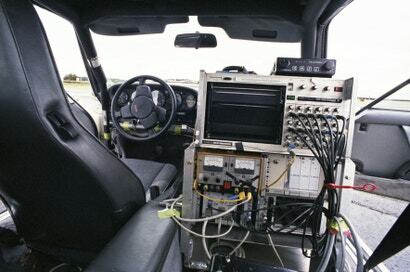 It was difficult to see the instruments through the large steering wheel hub and the many cables." I reached out to Porsche and managed to get a photo of what that rig looked like. Imagine this riding shotgun while you're developing the fastest street car the world has ever seen. Very Buckaroo Banzai. After ten laps he pulled into the pits. There, he shared his thoughts with the inquisitive technicians on the performance of the 959. 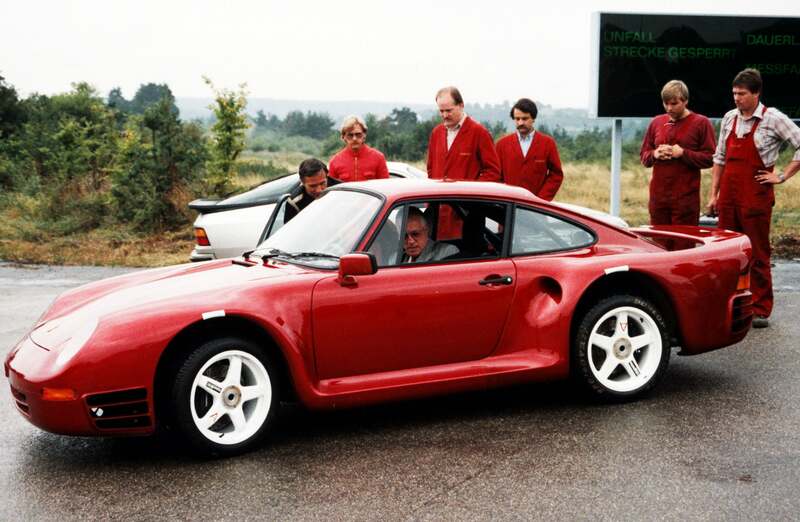 He told them how the car turned in, how the power distribution worked between the front and rear axles, how it braked, in short, Röhrl described in his typical perfectionist way what the 959 could do on the racetrack in his experienced hands. The technicians then removed the electronic component described by Dieter Röscheisen and replaced it with another pre-production EPROM containing different parameters Walter Röhrl went back out on the racetrack, turned another ten laps, came back into the pits and again gave an accurate report of his findings. And so it went on. Hour after hour, Röhrl went out with dozens of different electronic mappings — and every time he gave his precise feedback on the deviations from the previous setup. [...] Only over those days did I come to understand the endless testing work, the honing of the finest details and the love of perfection that is obviously in the genes of the Porsche technicians. As an aside, this is the problem most discussed about the 959, and what has weirded me out about the car since I learned about it growing up. 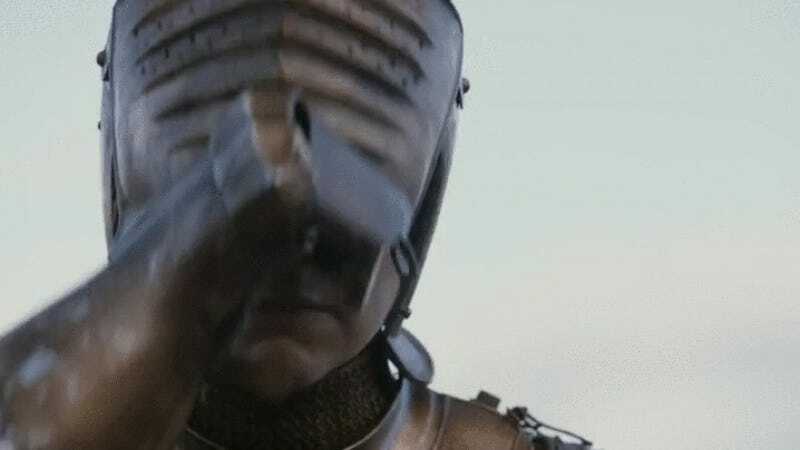 It seems like everybody who writes about it sees it only as a success, and all of its development as part and parcel to just pure Germanic rigour and industriousness. This guy is giving a shout out to German genes! Come on. For a bit more perspective on this EPROM programming, I asked my coworker Jason Torchinsky about it. He's an expert on 1970s and 1980s computing with a basement full of soldering irons and vintage video game setups, including a working arcade cabinet he built himself to hoax the internet. 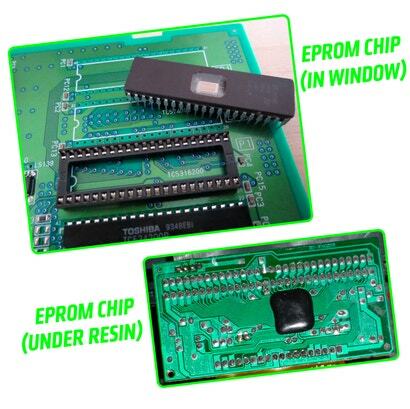 He explained that EPROM was common at the time, and that UV light could erase them, so people would either cover them a sticker on the chip, or with resin. Sometimes chips are installed on a motherboard with a blob of resin, not in the usual ceramic case with 'legs.' It's cheap and quick, but not serviceable in any way. A conventional EPROM would have been in a socket that they could easily swap out, like a cartridge. 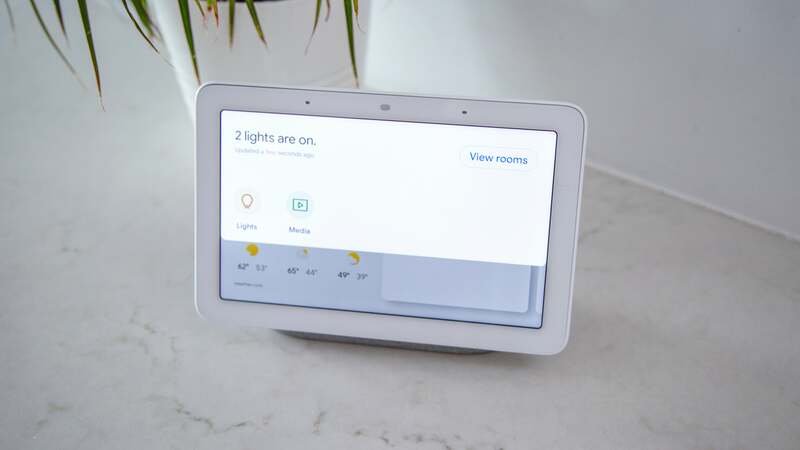 But this sounds like they installed it with a blob, like a cheap Nintendo knockoff. The blob way is a cheap way to produce a motherboard, but only makes sense if you're done debugging. [Referring to the top image] So that's an EPROM chip. (You can see the window with the chip itself.) They usually had a sticker on the window to keep from getting erased, and the socket, it just pops in and out. But [referring to the lower image] this is a resin blob chip. No ceramic case or packaging or pins or socket, just the chip itself, connected to the traces and with a resin blob to keep it safe. As you can see, it's not removable. So every time [Porsche] made a code change, they'd have to produce a new main board. It's short-sighted. I wonder why they did it that way. I mean, if they were still making changes, it's such a bad idea﻿. Birth of a Legend's theory about Germans aside, the Nürburgring observations are a good look into how laborious the 959's testing was day-to-day. It was intense, but it was also painfully keeping the 959 back from its production targets. Things weren't much better on the physical side of developing the car, as Röscheisen described about developing the car's anti-lock brakes. The 959 wasn't the first car with ABS, but never before had anyone developed ABS for a car that went so fast (315km/h) or weighed so much (1,450kg). [T]he engineers found themselves in territory that was completely unfamiliar to them — and they could not have anticipated some of the areas into which they were thrown. While the aerodynamics proved relatively easy to sort out, the brakes and control systems posed very special challenges. Dieter Röscheisen: "At brake system tests on the Italian high-speed track of Nardò, for instance, the brakes would suddenly become extremely hot and the car would sometimes jump two meters to the left or right. The problem was that we couldn't really simulate this fault. Sometimes the car would brake to the left, sometimes to the right. It behaved like a rabbit zigzagging across the road." Porsche did figure out that the problem was in the brake fluid used in the car, which was boiling and forming bubbles even though Porsche was using racing fluid. But Porsche only figured it out (and found a new way to valve the brakes to keep the fluid cool) after testing everything else about the ABS system, its suppliers, and the car's also-new tires. Look at the pride on everyone's faces in these photos. The other problem the car had was with how tightly everything was packaged inside its small frame. Remember that the basic shell of the Porsche 911 wasn't much different from how it was in the early 1960s. It was basically four seats on a flat pan with a six-cylinder engine out back. In the 1960s, the 911 didn't have a lot of parts and the car was pretty spacious for what it was. It was air-cooled, so obviously it didn't even need a radiator. 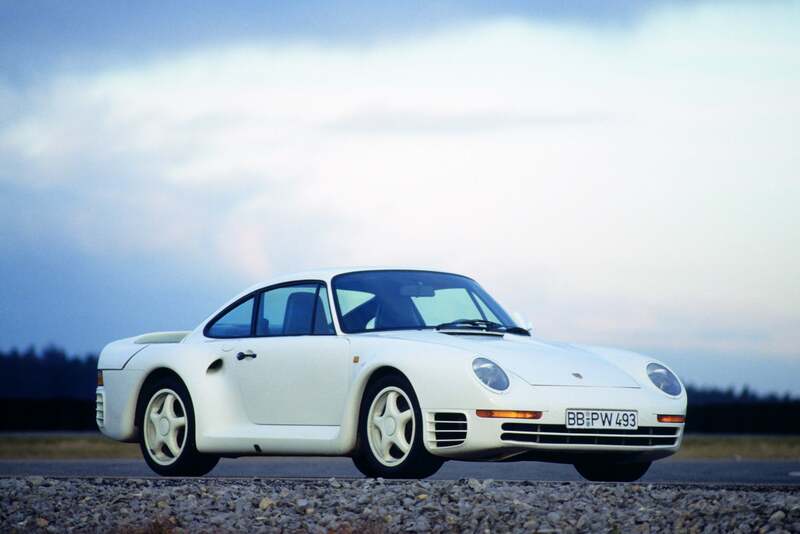 But into this basic shell the 959 was cramming in all-wheel drive, two turbochargers, a dry-sump oil system with five scavenging pumps, two oil coolers, two intercoolers, and a regular radiator for the 2.85-litre engine's water-cooled cylinder heads. Obviously, the confined conditions combined with the high temperature technology — the two turbochargers alone radiated up to 800 degrees C (1472 degrees F) — required many additional hours of work until the team finally managed to get the heat balance under control, even in high summer temperatures in a traffic jam on the autobahn. During these many experiments it is possible to confess today that a few 959 test cars went up in flames. Dieter Röscheisen shared a little anecdote. "At one of the many drives in Ehra-Lessien [where Bugatti tested the Veyron] a colleague of mine looked in the rearview mirror and saw that the car had begun to burn. He didn't stop but calmly kept driving at [180km/h] for a few kilometres in order to get the previous test drive within the range of five fire extinguishers. And he succeeded. Had he waited for the fire department to reach him at the spot where the car caught fire it would have been too late. The cause of the fire turned out to be a recording device for measuring results that had been installed in the engine compartment." The author notes that the rest of the car wasn't particularly challenging, with parts like the turbocharged engine itself being, as mentioned before, relatively straightforward developments of tech Porsche had been doing for over a decade. The reason why it took Porsche so long to build was that the project was almost constantly dogged with failure given the design parameters for sophistication that Porsche had set. Not only was this going to be a fast car, it was going to be civilised. Not only was it going to be powerful, it would be reliable. Not only would it be quick, it would be digitally advanced. And it did 315km/h! This was the fastest production car in the world when it came out. The Ferrari Problem: Does The World Want A "Normal" Supercar? But it only held that title for long. The Ferrari F40 came out the same year and was faster, claiming to actually break the 322km/h barrier (at 201) rather than closing in on it. Devoid of almost all of the heavy, complicated, computer-controlled systems that the 959 had, the Ferrari was subsequently lighter — and more exciting. The Porsche was a car that could be used every day, so normal and plain that you could buy one with cloth seats and leatherette on the dashboard. The Ferrari was a bunch of kevlar glued together with a V8 in the middle. It wasn't anywhere near as practical, but as a supercar, it didn't need to be. The Ferrari was an instant poster car, heralded as the last analogue driver's car, a legend that somewhat overshadows the 959 to this day. Reviewers instantly understood this opposition, even before the F40 came out and Ferrari's top car was the 288 GTO — another machine meant for Group B that never raced in it. Of course, the 959 is utterly magnificent. The greatest sports car of all. A car that quashes, easily, the Countach and the [Ferrari 288] GTO and the Testarossa. A car unlikely to be rivalled for years to come. Yet, on my way back from Stuttgart after a day experiencing a new sort of motoring sensation — and of setting a personal best for maximum speed — I feel strangely unmoved. I don't really want one. Somehow the car is too efficient, too tame, almost too good. It doesn't sing and dance and live and breathe in the way that the best Italians — and in the way that the humble 911 — do. 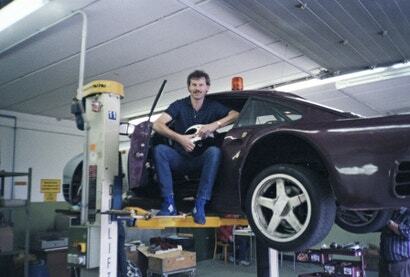 In its determination to make the world's greatest road machine, Porsche has forgotten to involve the bloke behind the wheel. Of course, that was what Porsche was going for, after all. Total control, absolute normalcy and perfection in spite of the car's performance ability. But it didn't make sense for what it was, or what its price, its cost, had made it. Cold weather testing had its interruptions. Contrast this with Lamborghini's testing regimen of, uh, driving the car really fast near its Italian factory. 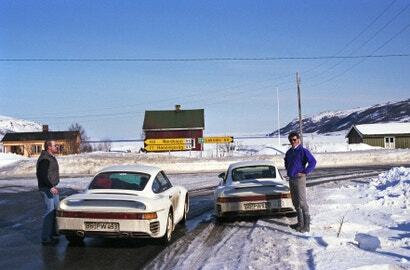 Undated photo from the Porsche archives. 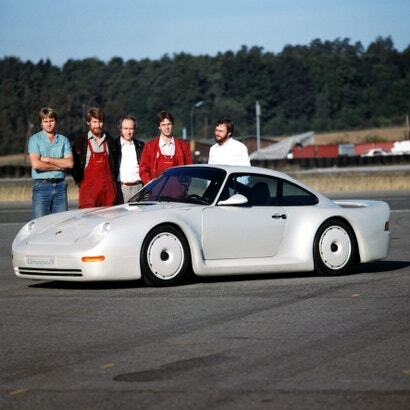 "Our customers are entrepreneurs," Porsche's CEO told the New York Times in 1986, right after bringing up the new 959. "It's the kind of product that thrives in a free society. 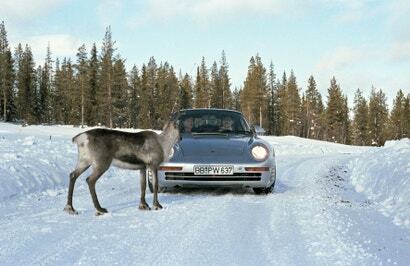 We don't sell many Porsches in Russia. And being that kind of a product, its home is in the United States." But Porsche didn't sell the 959 in America. And that wasn't by choice. Porsche even built 29 sports models specifically for us to buy over here "but they were never delivered," as Birth of a Legend notes, "since the 959 could not be registered for road use in the USA." The 29 cars tried to sneak is as race cars, but the Feds wouldn't accept that a car with air-conditioning and a radio was only going to be used for racing purposes and barred them from entry. Every supercar is an 'everyday supercar' if you drive it every day. 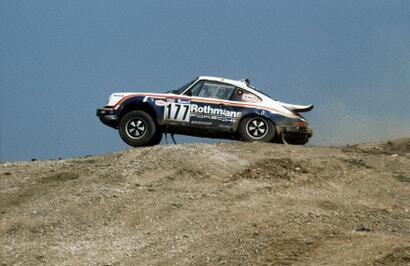 Undated testing photo from the Porsche archives. Porsche didn't certify the low-volume 959 for sale over here because the company "refused to provide the United States Department of Transportation with the four complete 959s they needed for crash testing," as Silodrome put it, basically leaving it up to Americans themselves to figure it out. Bruce Canepa, the American 959 guru, brought in a single car at the time, then managed to orchestrate a legal petition along with Bill Gates and Paul Allen, founders of Microsoft and car aficionados both, that took until 1999 for President Clinton to sign as law. It was the new "Show and Display" rule that allowed the 959 to physically enter the country, even though American examples would still have to meet contemporary emissions standards and would have to be virtually imprisoned in air-conditioned garages or on race tracks. Thus, the car was so complicated that it took years to develop, so many years that it missed its window for racing, and so long that by the time it came out it was instantly beaten by the simpler, more emotional Ferrari F40, and it was so expensive to make that Porsche didn't even certify it for sale in biggest market of the capitalist world. 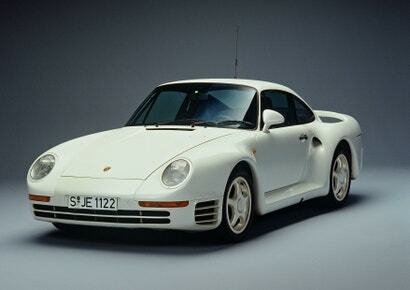 And after all that, it's widely understood that Porsche lost money on every 959 it made, largely by hand. 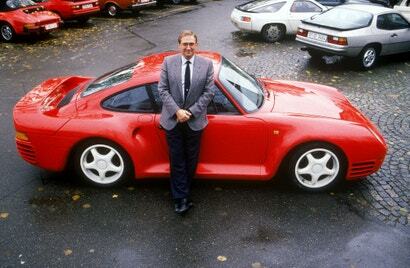 "The 959 is probably the most expensive promotional giveaway that Porsche ever offered its customers," Helmuth Bott, R&D chief of Porsche, said of the car at the time, as Birth of a Legend notes, pointing out that each car cost Porsche around one million Deutschmarks to develop and produce. 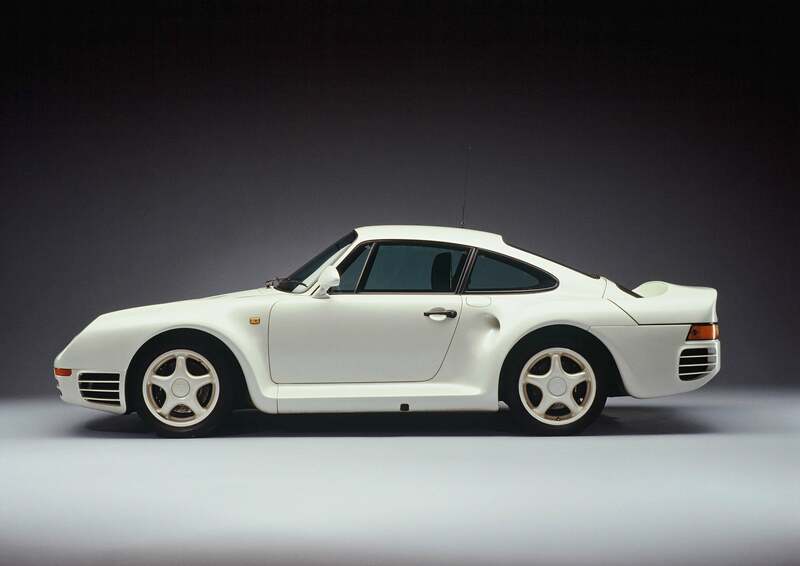 Porsche didn't have the stomach to sell the 959 for more than what it considered a staggering 420,000 Deutschmarks, even though customers had no trouble immediately flipping their models for considerably more. I have been piling on the 959 a great deal, but I should also really point out the car's success, and for that you need to understand what this car mean to the company. Internally, Porsche loved this car, as Uwe Makrutzki recounted to me in person. Makrutzki and I were both in the midst of this year's Pebble Beach champagne-lubricated car shows, and I brought up the 959. That's when he gave me his side of things. He currently works at Porsche Classic, but in the 1980s he was heavily involved in the 959 program on the technical side. Today, he quite proudly noted, he gets to work on keeping these cars on the road. Porsche Classic has 18 959s with it at the moment, he told me with a smile. His most recent project was building a brand-new 993 Turbo out of an unused body-in-white shell left over from production, but he gushed that his dream build is to take an early 1970s 911 Targa and cram a full 959 drivetrain under it. 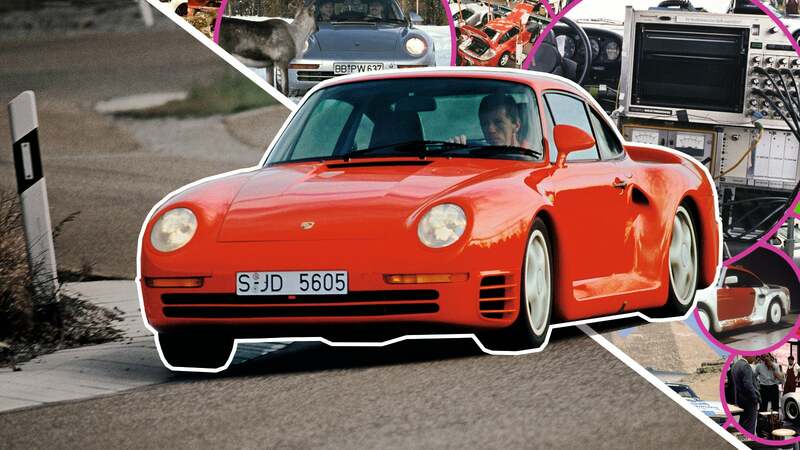 There is still a lot of love for the 959 at Porsche, and there's good reason for it. Over the past few years, we've seen a string of new vintage cars built from unused old stock. 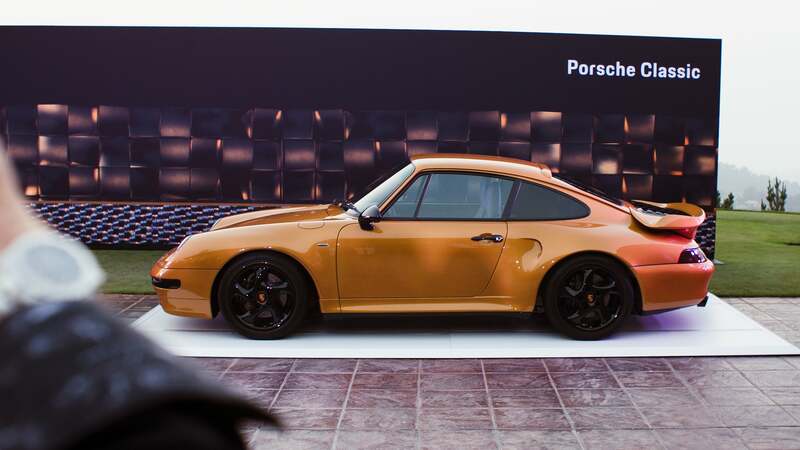 There was a bunch of Jaguars, some Aston Martins, and now this quite gold Porsche 993 Turbo "Classic Series," which Porsche is keen to point out is unregisterable for use on the street. I asked the company why, exactly. In 1980, Porsche took on a new CEO, an American, surprisingly, by the name of Peter Schutz. 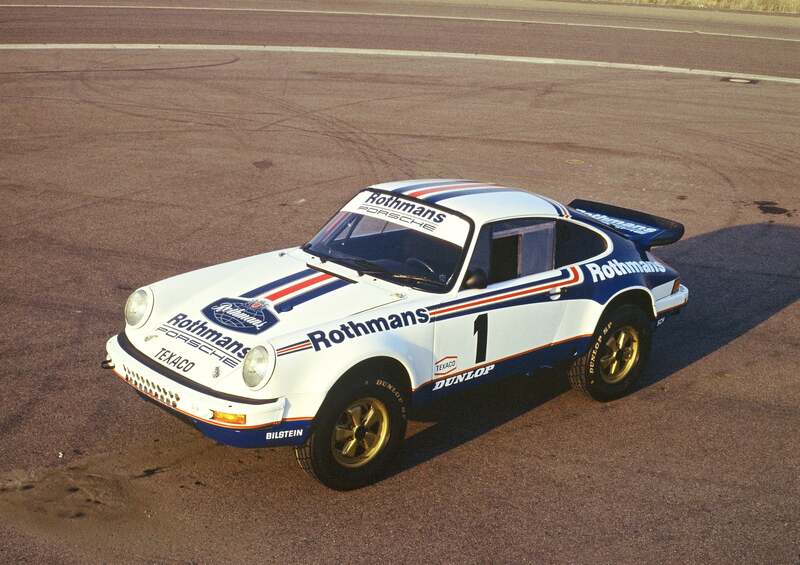 That was the company's first money-losing year, and part of the problem was Porsche's central car, the 911. It was getting old, and was starting to seem outmoded, unrefined, and noisy. A classic and an icon for sure, but an air-cooled, rear-engine machine that wasn't ageing well in the face of renewed competition. Automakers were learning to embrace technology after emissions laws and petrol crises meant a decade in the wilderness. The front-engine, V8-powered 928 was conceptualised as its modern successor as the flagship Porsche sports car. When he started work, Schutz said that he "noticed a sort of pervasive sadness among the staff." That's not a good thing to notice in a staff of any kind, and after a bit of asking around, he found that the sadness had to do with the decision to cancel the iconic 911. The board felt the 911 was an "outmoded concept" but, acting in the most stereotypical mode of what people perceive as Teutonic thinking, didn't factor in the less tangible, more emotional reasons to keep the 911 going even while more modern cars like the 928 were around. "You have to understand that, in Germany, once a decision is made, it's made. As far as the company was concerned, the 911 was history. But I overturned the board's decision in my third week on the job. I grabbed a marker off Professor Bott's desk and extended the 911 line across the page, onto the wall, and out the door. When I came back, Bott stood there, grinning. 'Do we understand each other?' I asked. And with a nod, we did." 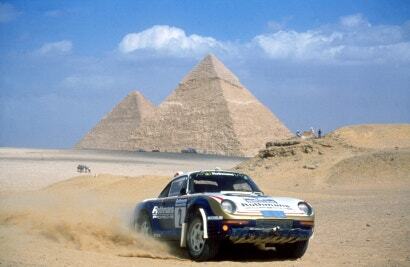 To this, the 959 was not just a world-beating engineering exercise. 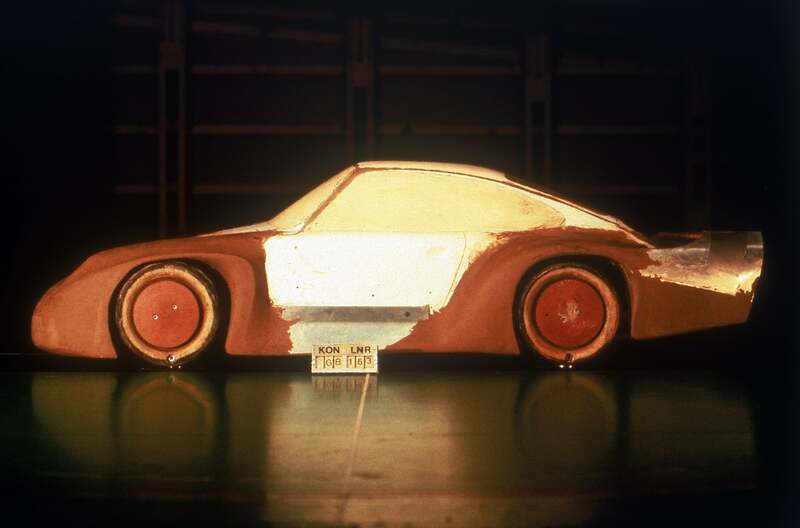 It was meant to be a showcase for what the "911 concept," as Uwe liked to put it, could do. It could be made modern and fast and comfortable all at once, and it could compete with the best of the world. 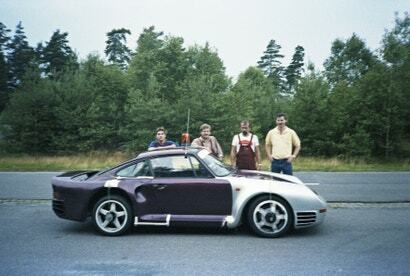 The 959 wasn't just an über Porsche, it was an über 911. And in that regard, it was an astounding success. Peter Schutz with the "Über 911"
All-wheel drive debuted on the 964 in 1988, the first generation of 911 after the 959 program started, and it debuted on the world-beating Turbo in the 993 generation, the layout of which has stuck around ever since. The 959 is also where Porsche taught itself digital controls and electronic integration and first dipped into water-cooling its engines for production, too. All of this is what has made the 911 a palatable car to the masses, successful and profitable. Now, it's not like there was a clear line of success from the 959 on. Porsche still almost went broke in the 1990s and had to bring on outside help from Toyota to learn to produce cars in a modern, high-quality and cost-effective way. 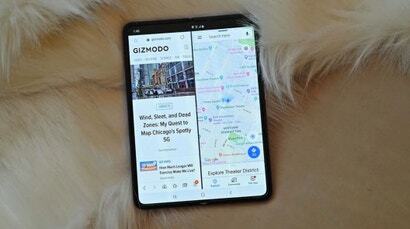 The company sacrificed a lot of its over-engineering in the process, and a bit of its soul, too. Water-cooling became a necessary evil in the face of emissions laws, a change many purists lament today. And Porsche wouldn't have survived without sacrificing a bit more of that soul with the Cayenne SUV. I could even say the same about Porsche's full integration into the VW empire after a failed hostile takeover of the greater Volkswagen Auto Group in the credit-hungry 21st Century. Without those dips and cuts, modern Porsche would not exist. Or maybe even there I'm wrong again. Today's Porsche is rich and successful, among the most profitable car companies in the world, supported by SUVs and optional leather air vents. History is always a product of the present, and today's successful Porsche can easily look back on this money-losing, late-debuting, difficult supercar as a part of that success. 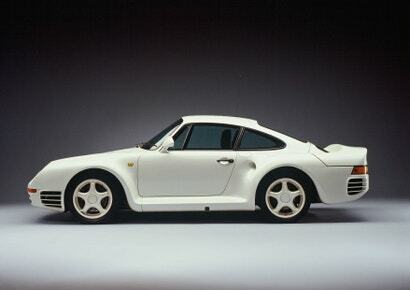 Maybe now it has the luxury to look back on the 959 as a critical stepping stone, and not just a chest-thumping folly.